As the Kreative Diadem Annual Creative Writing Contest enters its second year, we had an engaging chat with the winner of the maiden edition in the flash fiction category, Olakunle Ologunro. His short story ‘Pampers’ was published in the Queer Africa 2 anthology, and republished in Queer Africa: Selected Stories, his flash fiction ‘And They Were Laughing’ was published in LitroUK. In this interview, Ologunro discussed his passion for writing and the struggles he has encountered on his journey to find his voice in the literary world. Enjoy. KD: Who is Olakunle Ologunro? Let’s meet you! Ologunro: Hello! I am Olakunle Ologunro, a final year student of English in the University of Ilorin, Nigeria. KD: When did you first discover your passion for writing, what inspired you? Ologunro: I honestly don’t know. I read quite a number of books while I was growing up, and because reading and writing go hand in hand, it is possible that my writing must have picked up from there. KD: What are some of the challenges you face as a writer? What steps do you take to overcome them? How I overcome it: I sleep. Or I go visit a friend. Or I check my WhatsApp and Facebook. Or I count my blessings. Anything, I just don’t remain at the table mulling over my problems. I leave them to cool and them come back to attack them or be attacked (again) by them. KD: Who are some of the literary figures that inspire you/you look up to? Ologunro: I’m not specific/limited. I draw inspiration from a number of sources that would be too numerous to list. But to put it simply, anyone who is able to weave a good story is my hero any day. I am not bothered if that person has never published a book, or if s/he is a multiple award-winning author. 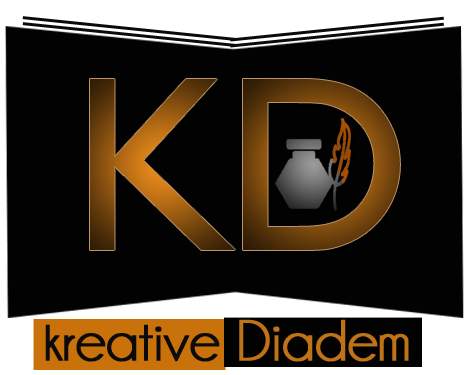 KD: In 2017, you won first prize in the flash fiction category of Kreative Diadem’s annual writing contest. How did you feel about winning? Ologunro: Surprised. Then excited. And then panicky. KD: Let us get down to your flash fiction. What was the inspiration behind Imole? Was there a specific message you intended to pass along to the reader? Ologunro: Would you believe me if I said that the idea for ‘Imole‘ came to me from nowhere? I can’t remember what I was doing then, but the line, “Your mother, belle of the ball, wanter of things beyond her capacity,” came to me. I think I wrote it down so I would not forget, or maybe I did not. The rest of the story followed that line of thought. The writing happened speedily, but the editing was not as speedy. And no, I wasn’t interested in passing a message. At least that was not my foremost intention. I understand that people who read it might take away a lesson or two, but while I was writing it, all that mattered was telling a story that seemed ripe enough to be told. Ologunro: I placed second in a writing contest by Naija Stories, was a finalist for the Awele Creative Trust Award, was shortlisted for the Gerald Kraak award anthology, longlisted for the inaugural AMAB-Home of Books Foundation Prize. My short story ‘Pampers’ was published in the Queer Africa 2 anthology, and republished in Queer Africa: Selected Stories, my flash fiction ‘And They Were Laughing’ was published in LitroUK, and my recent short story ‘A Nonrequired Guide to Writing Love Stories’ appears on Brittle Paper. KD: Are you currently working on any books at the moment? Ologunro: No, I am not. I wish I was, though. KD: What advice would you give to aspiring writers like yourself, especially in Nigeria? Just kidding. I cannot think of a good advice presently, but I’d suggest listening to Hall of Fame by will.i.am and The Script. The song found me years ago, and every line of it could easily be a watchword. KD: What do you think about Kreative Diadem? Ologunro: I think that they are doing a good job. To find a space (online or physical) invested in the growth and support of young writers and talents, is a great means of encouragement, something that we all need in large doses. Ologunro: Thank you so much for this chat. Thank you for thinking I have something important to say, something worth reading, and for reaching out. I hope we get to do this again. I so much believe in OLOGUNRO as a writer, and I see a future for writers.